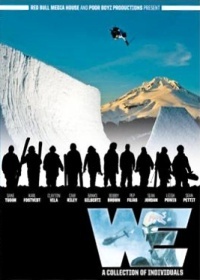 WE is a compelling story surrounding the life and times of the modern day skier. It has long been thought that skiing was an individual sport, however the story of WE proves that this idea is nothing more than a fallacy. Even though skiing encompasses many different venues and styles, the core remains within the crew of individuals that help scout, build, transport, struggle and keep each other safe. WE follows a season as a group of the most influential skiers travel the world in search of epic powder lines, tackling the streets, and creative park features. Together this collection of individuals become WE. Pennywise Something Wrong With Me Land of the Free?